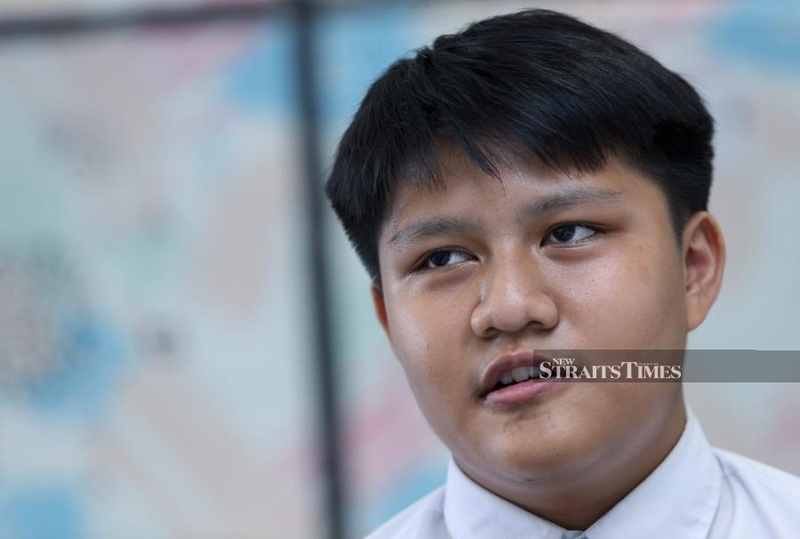 KUALA LUMPUR: An online gamer who was always cheerful and happy-go-lucky, 17-year-old Muhammad Haziq Mohd Tarmizi was described by friends as, though a shy person, always willing to lend a hand. Haziq was really into technology, they said in tearful interviews, and was a huge Star Wars fan who would have been looking forward to Episode IX at the end of the year. Former classmate Khairur Aiman Redzuan Hafiz Boon said he was “best buds” with Haziq, whom he described as being really shy, except when he was playing online games. “He was my deskmate for three years before he moved to New Zealand. Even after he moved there, we still played games together often. “Two days before the incident, as usual, we were playing games. The last sentence he said to me (before signing off) was ‘Bye Kerur, see you tomorrow’. But I didn’t hear from him after that,” he told the New Straits Times. Haziq was the sole Malaysian among 50 people killed when a gunman went on a shooting rampage at two mosques in Christchurch, located on the east coast of New Zealand’s South Island. Three other Malaysians, including Haziq’s father, Mohd Tarmizi Shuib, were injured in the attacks last Friday. Khairur Aiman said he “didn’t think much of it” after finding out that Malaysians were involved in the mass shooting in Christchurch last week. “Even though I knew where he was, I just thought that he was not involved in the shooting. That was until hearing news that Haziq’s father was admitted to hospital because he was shot. “I then direct messaged him (Haziq) on Instagram, but he didn’t answer. At that time, I thought that he was probably busy taking care of his family. “It was only two days after the incident that I found out he was missing. I was sad and shocked, I never expected this to happen to him, all of it happened so fast,” he said. Khairur Aiman said he last saw Haziq in December, when he returned to Malaysia. “We went for a movie and tried ice skating for the first time... we had lots of laughs, but I didn’t expect that would be the last time I saw him,” he added. Asked if there was anything more he wanted to add in tribute to his friend, Khairur Aiman said he did not want to. “My eyes are starting to water,” he said, before ending the interview. Luqman Hakim, 17, still remembers the first time he met Haziq which was way back when they studied in SK Jalan 3 in Bandar Baru Bangi. “The first time I met him was when we joined an English competition. He was a little shy but a very cool person. He was also very good in English. “He is a very good friend. We still kept in touch on social media right up to the time the incident happened,” he said. Some of Luqman’s best memories with Haziq were sharing the same interests and spending hours talking about gadgets and technology. “We talked a lot about geeky stuff. We also played Counter Strike: Global Offensive together for hours,” he said. Luqman last met Haziq in March last year with another friend, Norman Mikhail, in front of Best Western Hotel in New Zealand, where they spent 30 minutes just talking and catching up. Another former schoolmate, who wished to remain anonymous, said Haziq was a cheerful and happy-go-lucky person. “Haziq was a great human being who always cheered me up whenever I felt down. He was very good at FIFA (football video game), I often lost to him whenever we played it at his home. “He also liked football, and he was my mentor... he taught me how to improve my skills and gameplay. I will miss him dearly,” the 19-year-old said.